I recently listened to the excellent Joe Rogan Podast with Ross Edgley. It was a fascinating insight into the mental and physical ‘toughness’ needed to be the first person ever to swim around the UK. He achieved this monumental task by swimming for 6 hours, followed by 6 hours of rest and continuing this cycle non stop for 157 days. Incredible. In the Podcast Edgely talks about all things health and fitness and how he has used his knowledge of sports science to undertake such tasks. Anyone that has seen Edgely will be aware he doesn’t quite possess the same physique associated with endurance sports, he’s built more like a muscle bound body builder. Edgely discusses with Joe Rogan the Mechanisms of Hypertrophy (muscle growth) and how to achieve it. An interesting subject for all those gym goers looking to stack on some muscle or ‘tone up’, in this blog we discuss this area in a little more depth. There are three main phases of resistance training that will initiate muscle growth. Exercise is a stress deliberately placed on the body – after exercise, we recover and over time we adapt to this stressor resulting in us getting fitter, stronger, faster depending on the type of exercise carried out. 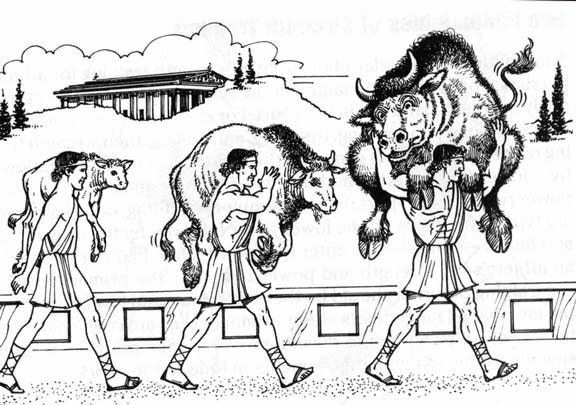 A lot of people have heard of the legendary tale of Milo of Croton, a Greek Wrestler who developed tremendous strength qualities in a unique way. 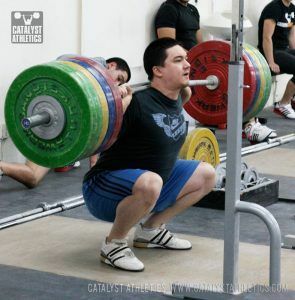 The unique method underpins one of the basic theories of strength and conditioning, known as, Progressive Overload. The legendary tale states that one day, a new born calf was born near Milo’s home. The wrestler decided to lift the small animal up and carry it on his shoulders. The next day, he returned and did the same. Milo continued this strategy for the next four years, putting the calf onto his shoulders each day as it grew, until he was no longer lifting a calf, but a four-year-old bull. Key Principles of Milos tale that will see progression in any area of Strength and Conditioning is starting light with plenty of reps and gradually build and add weight as you go, its important to have consistency to allow your body to adapt. 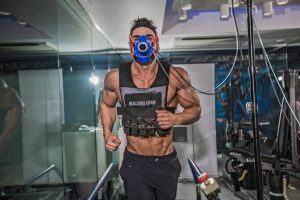 So, if you’re looking to increase lean muscle mass, whether that’s guys ‘bulking up’ or ladies ‘toning up’ what is the best way of achieving it from what you do within gym? High Reps? Low Reps? Slow Eccentrics? Lots of Sets? Rest Times between Sets? The Initial Stimulus, that we will expand on in a bit is the ‘actual’ training you do. Whether that’s lifting heavy weights or light weights, this results in an initial stimulus that will trigger receptors in the muscle cells that causes molecular signalling to occur throughout the body, the most commonly known molecular pathway is the mTor pathway, that is heavily identified to increase hormone levels and the rate of muscle protein synthesis leading to an increase in the size of the muscle cells over time. We will discuss this in more detail in a later blog. So, what is the best way to develop lean muscle mass within the gym? As there are so many training programmes out there that claim to be the holy grail of developing muscle mass. My pet hate is fluff! The most effective programmes are the ones that keep things simple and focus on doing the basics well. Mechanical tension is created by using a heavy load and performing exercises through a full range of motion for a period of time. The time the muscle(s) spend under tension provided by the external load (barbell, dumbbell etc) creates Mechanical Tension in the muscle, the more time spent under load the more mechanical tension provided. Tension alone won’t cause maximal muscle growth, tension created in the muscle whilst working through a full range of motion will cause a big hypertrophic response. Lift Heavy Weights, in a controlled manner through a full range of motion to promote muscle growth. Muscle damage is a key component of the muscle-building process. Muscle damage is sustained during resistance training, specifically coming from eccentric and concentric contractions. D.O.Ms (Delayed Onset of Muscle Soreness) is a very common sensation experienced by individuals after undertaking exercise, this is a result of micro tears in the muscle as a result of damage. Both types of contractions cause muscle damage, but eccentric contractions cause more damage to the muscle than concentric contractions. Hence why bodybuilders incorporate ‘negative’ reps into their training regimes. This onset of muscle damage triggers mTor pathways that then activates protein synthesis to occur and the rebuilding of the damaged muscle begin. Along with lifting heavy weights to create mechanical tension, it is also well researched that lifting moderate to light weights for higher repetitions, often associated with body building, will also promote muscle growth. For those that have performed any sort of resistance training will have more than likely experienced, ‘the burn’ or ‘the pump’ as you reach the higher reps that’s then followed by short rest periods. A number of things are happening during the end stages of the set, with the muscles continually contracting and relaxing it creates a blood pooling effect within the muscle (cell swelling – the pump) this results in restricted blood flow to the muscle (occlusion) and the with lack of oxygenated blood being able to fuel the muscle (hypoxia) during the continual contractions it means a large build-up of metabolites like lactate, hydrogen ions etc. The resulting metabolic stress placed on the muscles has an anabolic effect leading to molecular signalling and an increasing hormonal response by the body. Hypertrophy occurs as a result of a number of variables – Mechanical Tension, Muscular Damage, and Metabolic Stress and combined have a very ‘anabolic’ effect on the body created by molecular signalling from the initial stimulus and results in rises Testosterone and Growth Hormone levels – these have a big role in triggering and maximising protein synthesis needed for muscles repair and muscle growth to occur. So how would a simple and effective Lower Body Workout look? Keep things simple, do the basics well and often, lift heavy in a controlled manner with solid technique working through a full range of motion, use big compound lifts to give you the biggest stimulus and mechanical tension possible. With your accessory work, add in tempo work, such as slow eccentrics or ‘negatives’ this will cause a good amount of muscle damage and as well as tempo work use moderate to high rep outs on a wide range of exercises to cause metabolic stress, once you finish in the gym get the other big rocks right – a good post workout recovery shake including Protein and Carbs, stay hydrated, eat well and sleep! These basic principles will see you packing on the muscle!